The board of Caithness and Sutherland Enterprise (CASE) has been strengthened with the appointment of three new directors, who attended their first board meeting this week (Tuesday 1st March). 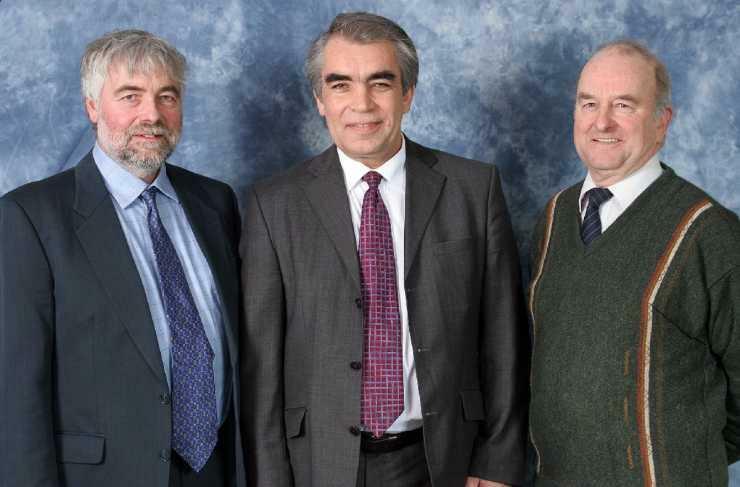 Joining the Local Enterprise Company's board are Steve Burness, Alexander Murray and Iain Young. Steve Burness is RWE NUKEM's head of site at Dounreay. He has worked in the petroleum, industrial, power and nuclear industries throughout the world for the past 30 years. Steve originally worked in Dounreay between 1973 and 1981 before leaving, with his Strathy born wife Carol, to advance his career in Canada, the USA and other countries. Steve took up his current role with RWE NUKEM in 2000, he was delighted to return to Caithness where he had maintained strong ties throughout his travels and is currently resident in Melvich. He said: "I am looking forward to making a significant contribution to initiatives mitigating the socio-economic impact of Dounreay Decommissioning." Also joining the board is Alexander Murray from Rogart. He has run his own farm in Rogart for 40 years and managed an estate in East Sutherland for over 20 years. Alexander is chairman of the Highlands and Islands Sheep Health Association and has been both a branch and area president of the National Farmers Union. On a community level he is chairman of the Rogart village hall and enjoys curling. Until recently, having worked at sea for over 20 years, Iain Young was skipper and owner of a fishing trawler which operated mainly out of his home port of Lochinver. He is now employed by the Scottish Fisheries Protection Agency. He has spent some time as a marine scientist at Aberdeen University's zoology department where he was responsible for running the Scottish part of a European funded fisheries project in 2000 and 2001. Iain is also a committee member of the Assynt Development Group and assists with a local youth group. In his spare time, he is a keen light aircraft pilot. Welcoming the new directors, CASE chairman, Pat Buchanan said: "I am delighted to welcome the new directors to the board. Between them they have a vast amount of experience across different sectors, all of which are significant to Caithness and Sutherland. "My sincere thanks are also extended to Deirdre Mackay, for all her hard work with CASE over the years, as she retires from the board."